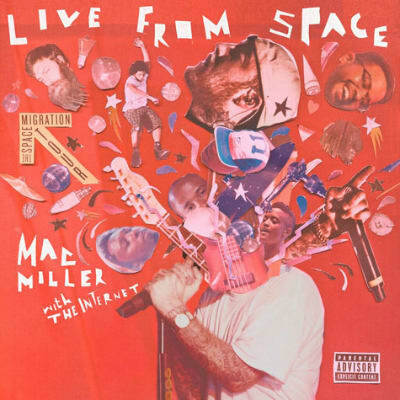 Listen to Mac Miller's Live Medley of "The Star Room/Killin' Time"
Mac Miller has released the first record from his upcoming album Live From Space. It&apos;s a medley of "The Star Room" and "Killin&apos; Time," two songs that were included on his sophomore set Watching Movies with the Sound Off. The tone of the medley differs from the studio versions where the eerie production on "The Star Room" is traded out for a mellower backdrop from house band The Internet. The energy builds with the transition between songs, and by the time the latter record comes on Mac is in full blown rock star mode. This is quickly shaping up to be a remarkable project from the Pittsburgh MC. Mac Miller&apos;s Live From Space is due out December 17.